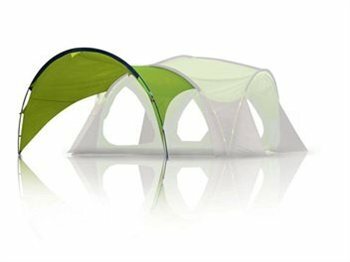 Connectable shade awning that creates a weatherproof entrance to the tent. Click here for the C4 Hub Tent. Click here for the C4 Hub Room.